I always do a lot of research on new destinations that I have made plans to visit. I look up restaurants and attractions close to the hotel, find out the new and trendy spots on Yelp, and read reviews on Trip Advisor. I always try to pinpoint the best Vegetarian restaurants and specifically get my heart set on certain places. My instincts are usually right and I truly believe that reviews on both Yelp and Trip Advisor are spot on, most of the time. 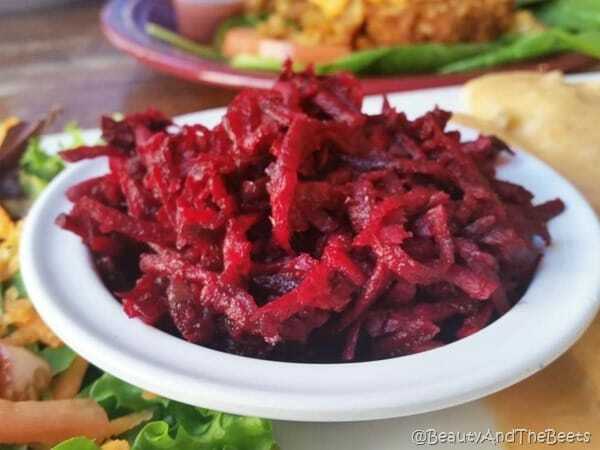 It was because of these reviews that Mr. Beet and I found Vegeria, a Vegan restaurant in San Antonio. Though the location we visited has merged into its sister restaurant Viva Vegeria, but the menu is pretty much the same. We started with the Ancho and Cascabel Hot Wings, also known as Buffalo Wings. 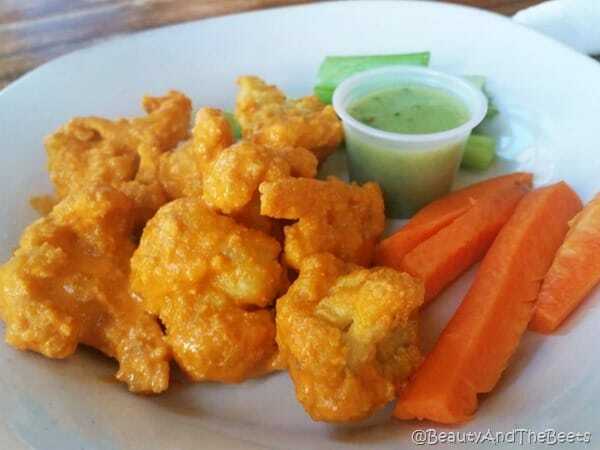 These are cauliflower buffalo wings, battered and fried. Not too spicy but with a kick and served with carrots, celery and a poblano cream sauce. Pretty amazing, not mushy and perfect for a buffalo craving. 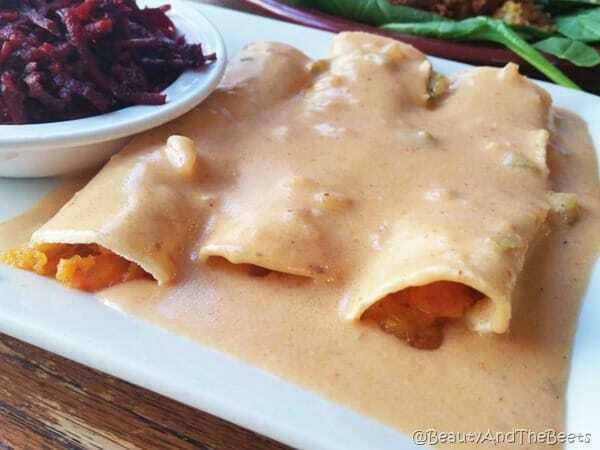 For an entrée I ordered the Sweet Potato Enchiladas with a Sunflower Cream Sauce. 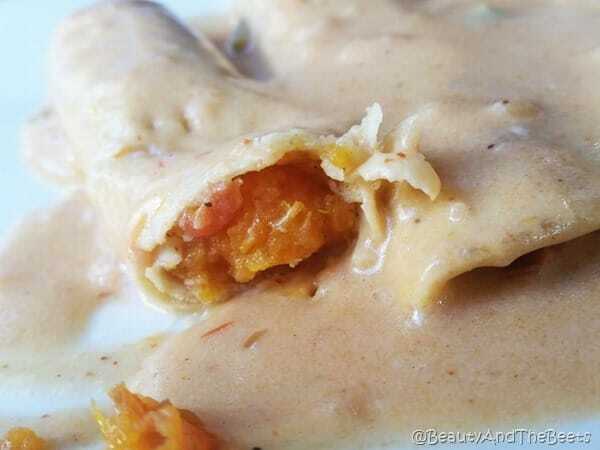 I liked these a lot as cheese enchiladas are my go to dish at most Mexican restaurants. I did not miss all the cheese. The Vegan cheese and sunflower cream sauce was very satisfying and cheese-y. The sweet potato enchilada filling was seasoned with onions, garlic and stewed tomatoes and spiced with poblano peppers. Mr. Beet ordered the Road Trip Burger, something I cannot seem to find on the new Viva Vegeria menu, so ask. It was a burger patty made with pinto beans, sunflower seeds and quinoa. 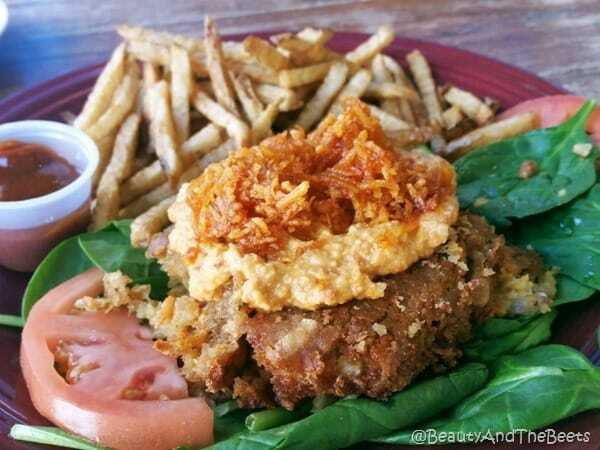 Topped with a Vegan cheese and coconut bacon, this burger has been voted best in San Antonio and I can understand why. I have never had coconut bacon, now I make it home every time we eat veggie burgers. The burger here at Vegeria was also very tasty and didn’t fall apart like other veggie patties. And lastly, I couldn’t leave without tasting the Jalapeno Beet Slaw. It was Earthy and delicious. A unique and tasty side dish. Though the location we visited has closed down, these yummy treats can still be found at Viva Vegeria on Nogalitas Street, southwest of downtown. The new location will be on our hit list the next time we are in San Antonio. 4 out of 5 sprouts.